Corfu is the northernmost and second in size island of the complex of eptanisa. Corfu, because of its considerable size has many beaches, most of which are organized with good tourist infrastructure. In Corfu Town there is the Mon Repos beach while in the Northwest lie the beaches of Agios Spiridon, with the wetland lagoon "Antinioti", of Saint Stephen, of Dassia Bay, cane, cherry blossoms, of kouloura and the height. To the North-West are the beaches of AI-Giorgis of ice, Arillas, Logkas, Roda and Sidari, with the famous ' Love Canal ' West stretches the beach of Paleokastritsa, one of the most popular of the island also, Benitses and the Pier are popular tourist destinations. Corfu Town daily itineraries of KTEL fully serve the movement inside the island. There are two bus services available, well organized with modern vehicles and buses. The first includes the municipal bus (blue) and her attitude is located in Piazza San Rocco. With buses that you can move to the capital city and in the suburbs: ' Afra, Agios Ioannis, Cannon, Perama, Achillion. The second is the bus service which offers move into more remote areas of the island such as: Leykimi, Kavos, Karousades, Aghios Panteleimon, Aghios Gordios, Glyfada. (phone +-32265). In Corfu, you can exypiretitheite and with taxi (Tel. 26610-30.2661.033811. Town from Corfu to Igoumenitsa daily itineraries anachwroyn. agorazontai kateytheian in Ayta tickets port of Corfu Town. 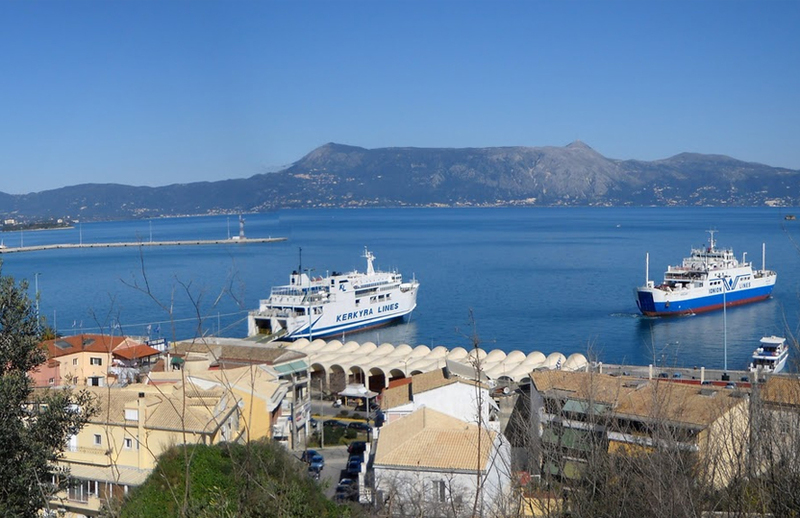 The island of Corfu that ferry and the port of Patras with the Superfast ships. For information afixeon and anachoriseon communicate with the port in Corfu Town phone 26610-40002. Air Champion24 .com offers ferries to and from Corfu on all services performed from any port of Greece. You can easily search and choose your ferry route that it serves, easily and instantly. The booking takes place in real time using your credit card or by making a booking with the help of the staff of our Office.